YBT Event Producers is an event planning and production company specializing in unique experiences throughout the city of Barcelona and its surroundings. 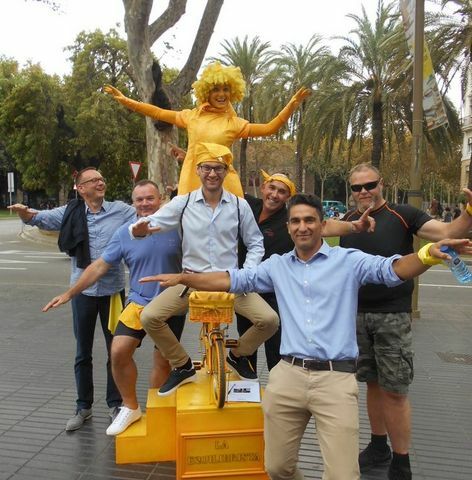 YBT offers the best of Barcelona in accommodations, activities, entertainment, culture and food. 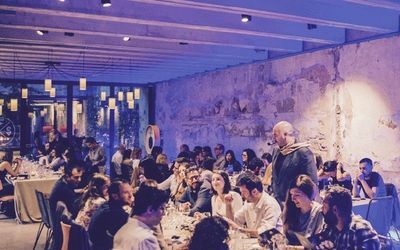 We include the right mix of ingredients, typical for Barcelona, that makes your event unique! "I would like to thank you and your team for a successful evening. We got a lot of positive feedback from our customers, so evidently they enjoyed the party and so did we. The place was very special, and I have to say that the food was really good. If we ever do something like this again in Barcelona, we know to whom to turn to." "You did an outstanding job in organizing the whole program, including restaurants, transfers, guided tours, etc.. There was not a single hick-up during the whole 4-day-event. YBT included all last minute changes of program in a very professional and efficient way." "We had a great evening. We will give you the best notes possible, it was just great. Everything was extremely well organized starting with the bus transfer from the hotel followed by a warm welcome of our guests on the terrace. Dinner and music were enjoyed by everyone. Hosting during the event was excellent, whenever we had any questions you were immediately ready to answer and to assist. We and our guests will keep the event in good memory. Thanks again for organizing this splendid evening"
"Many thanks to YBT for helping us to create a very special kick-off for all our European clients. We will never forget it! All preparations towards the kick-off ran very smoothly, even when some things needed to be changed a couple of times. Flexibility and perfection is what YBT is about. During the day itself YBT provided great guidance, and even in unforeseen circumstances they kept calm and just made sure everything kept going as it should." "Perfect partnership! Searching for a local Partner to organize an event for Siemens AG in Barcelona we - hl-studios GmbH - found Your Barcelona Team. Starting with this unique event in 2008 a partnership was born. Together we realized many events throughout whole Spain. In every cooperation we enjoyed again and again the creative professionalism of YBT, their passion to find the best idea for every event – for each big and small detail - as well as the proven reliability that forms the one and only basis to let the customer concentrate on his big moment. We are already looking forward to the next project!" "YBT provided us with the perfect set-up for our workshop in Barcelona. They were very flexible even when we had a lot of changes - some of them very short term - and everything they prepared was fully meeting our expectations and above. With YBT on our side we were able to focus on the most important thing, the workshop itself, as we knew that everything else was in very professional hands. The feedback of the participating Western European markets was extremely positive and so YBT will be again a clear choice for our next workshop in Barcelona." "We felt a perfect organization and great professionalism this summer. And more, during our stay in Barcelona we got to know a creative presence combined with long time experience. The restaurants recommended by you fit perfectly to the group and more than filled our expectations. The whole group gave extremely positive feedback about your nice and sympathetic hosting. We will keep the best memory of this trip and thank you very much." “"I would like to thank you and your team for a successful evening. We got a lot of positive feedback from our customers, so evidently they enjoyed the party and so did we. The place was very special, and I have to say that the food was really good. If we ever do something like this again in Barcelona, we know to whom to turn to." We offer the right mix of ingredients so typical for Barcelona that will give you an unforgettable experience. Traditional "places to go" and new "places to be", we translate your goals and make the right setting happen. We build full service programs, we take care of your event until the last detail, you can concentrate on your guests only. We help you learn from Barcelona by adding industry "best practice" content or build experiences related to your goals. 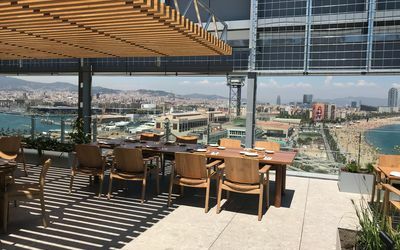 We offer the magical background of Barcelona to pamper your (potential) customers, partners or employees. 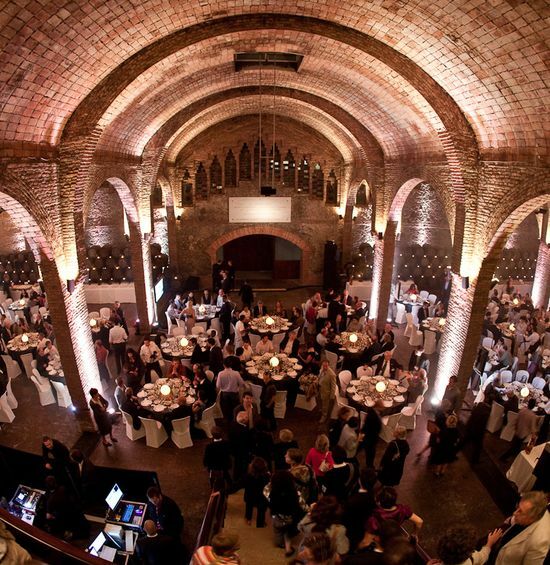 After many years of experience organizing the programs for companies to spend their meeting, incentive, party, product launch or other event in Barcelona, we “packed” for you the most attractive program items into a budget offering. We take care of all the facilities, audiovisual and special touches for a successful conference or workshop. We know as well out of the ordinary locations to get a less conventional and more impact-full setting. Consider YBT for your next team building activity. With a fantastic range of indoor and outdoor activities, energizers and icebreakers, we have something to suit all budgets, group profiles, aims and objectives. There are a myriad of different reasons why a company would host a gala dinner – networking, fundraising, rewards and recognition – to name but a few. Whatever your reason, choose YBT and your event will be effortless, leaving every guest delighted. Barcelona is a magical place to visit and we can offer many ways to see the city – walking and guided tours exploring the Gaudí architecture, the Gothic Quarter, Sagrada Familia and much more! 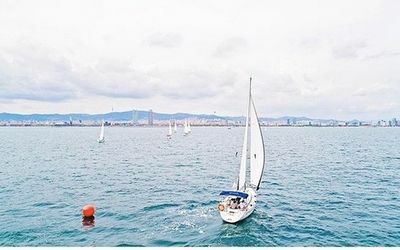 We show you for example little sneak peeks into the events we organize, the happenings in Barcelona not to miss and worth to mention newest hits in town. Please send us an email and we will get back to you in no-time. Mandatory field Please answer a little question* Please add 5 and 2.